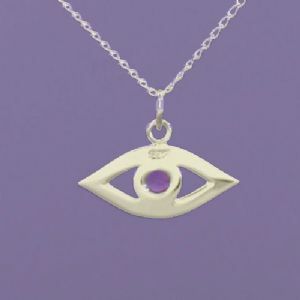 This Evil Eye necklace is so beautifully plain and simple. There is a stunning Amethyst in the centre. 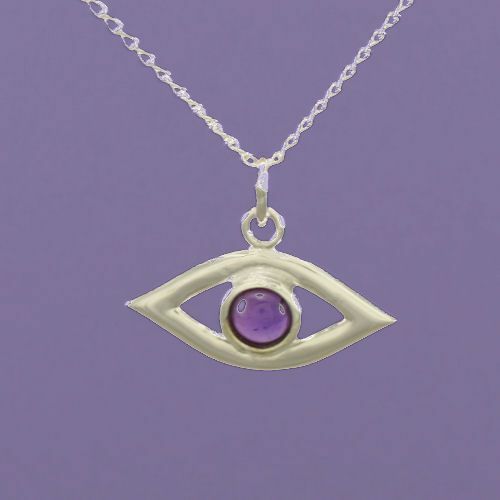 The Evil Eye has many meanings to different cultures and many people wear them for good luck and protection! This pendant is made of the finest Sterling Silver and then it has been Rhodium Plated for long lasting lustre and shine. The pendant is 15mm high, 24mm wide, 2.9g in weight. You can choose between different chain lengths.